We love simple ideas that transform a space. 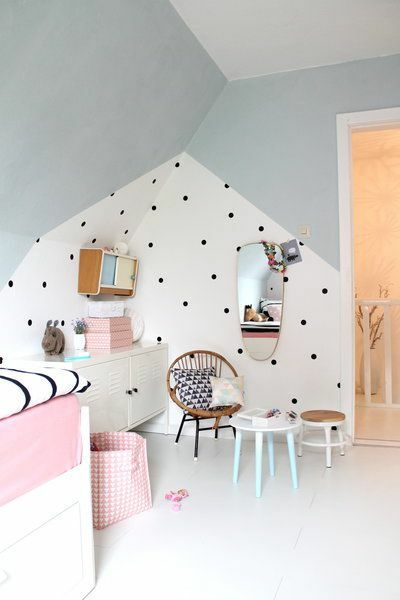 Pinterest has inspired us with some dotty designs that turn a bland interior into a bold statement. A traditionally feminine design (think Minnie Mouse's red and white ensemble; think yellow bikinis of the "Itsy Bitsy Teenie Weenie" variety), polka dots are simple, fun and uncomplicated. According to Jude Stewart's Patternalia: An unconventional history of polka dots, stripes, plaid, camouflage and other graphic patterns, they originate from the 1840s-1860s craze of polka music which spawned a raft of "polka" merchandising including curtains, hats and even a boozy pudding. Unlike most of these fads of the time, the polka dot pattern has survived and is still going strong across all areas of design. So how are we using dots in 21st Century interior design for our homes? This example from interior design and style blog latazzinablu demonstrates how geometric block painting can be combined with a simple dotty flourish to create a neat nook in a room. The dots can be hand-painted, stencilled or stickers. Wallpapering to a high standard is a complex job that requires a professional to achieve an excellent finish. It can be time-consuming, frustrating and messy, so if you're looking to do this work yourself, take a look at Livettes' self-adhesive wall coverings for a simpler solution. These peel and stick wallpapers are eco-friendly and printed with water-based inks. Made-to-order, they are customisable with a choice of 45 beautiful colours. We'd recommend having two people to apply them as you need to carefully smooth out all of the air bubbles and get the positioning spot-on (pun intended). 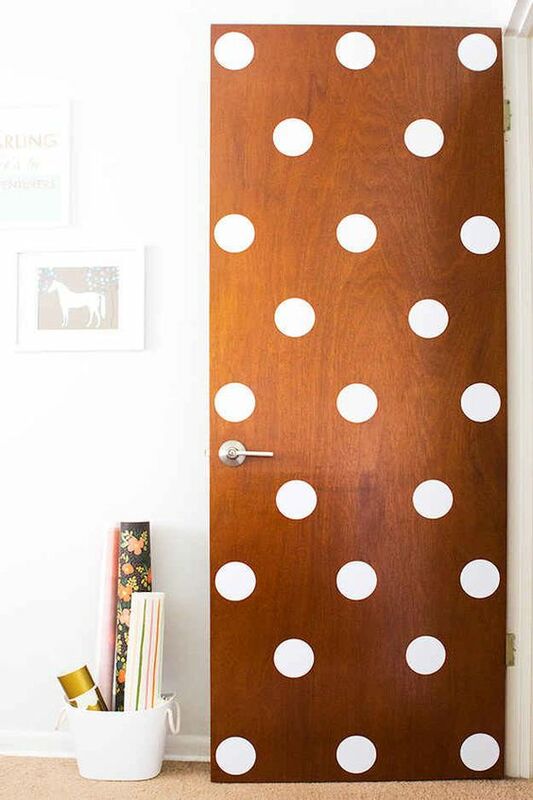 Doors can be dotty too! This example from buzzfeed is my favourite for its simplicity and impact.